Back when I was learning to drive, we were told a lot about drunk driving because driving while intoxicated was the scary issue back then. A lot of focus was put into educating teenage drivers as to the dangers of drinking and driving. And it worked. We know now that the percentage of teens in high school who drink and drive has decreased more than half since 1991. That is an unbelievable result. As a car crash attorney, I learn about a lot of car crashes involving drunk driving. More and more, I am seeing that it is the adults driving while intoxicated, not the teens. I cannot help but think this is because the adults did not get the same education about the dangers of drinking and driving when they were learning to drive. According to NHTSA, the first half of 2015 revealed an estimated 16,225 people died in traffic fatalities. A December 2015 report from State Farm Insurance shows that accessing the internet while driving has more than doubled since 2009, talking on a hand-held cell phone has decreased, and texting has stayed the same. I had the honor of meeting Joel Feldman and Dianne Anderson, the parents of Casey Feldman, several years ago. Casey Feldman was killed by a distracted driver in 2009 when she was just 21 years old. Her parents started the Casey Feldman Foundation in her honor and are avid supporters of the End Distracted Driving movement. Because of Casey, I now speak to local high school students about the dangers of distracted driving. 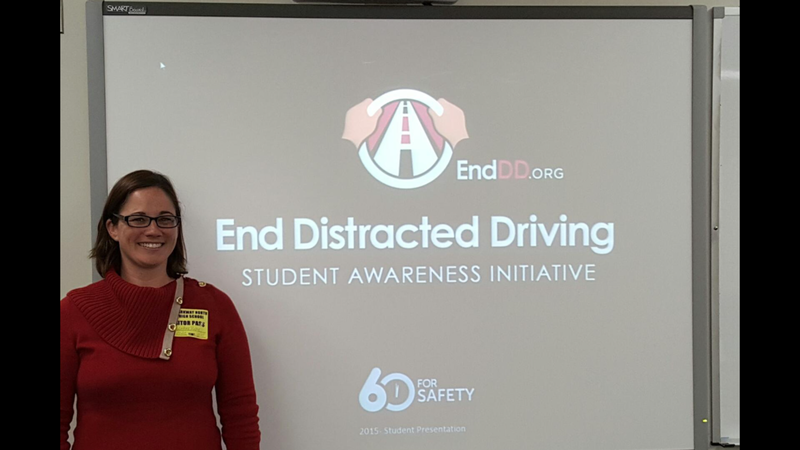 In November of this year, I had the pleasure of speaking to driving students at Parkway North High School. In December, I spoke to 350 students and 10 parents at Mary Institute and Saint Louis Country Day School about these same dangers. The response to these presentations has been amazing. In speaking with families, it is clear to me that adults remain a big problem. Most students report that their parents drive distracted frequently. Most students also report that they know distracted driving is a problem and they are trying to work on it. Most students understand that distracted driving is not just talking on a cell phone or texting on a cell phone. It is the parents that are surprised when they hear how easy it is to get into a crash while eating, changing the radio station, adjusting the GPS, or even talking hands-free. 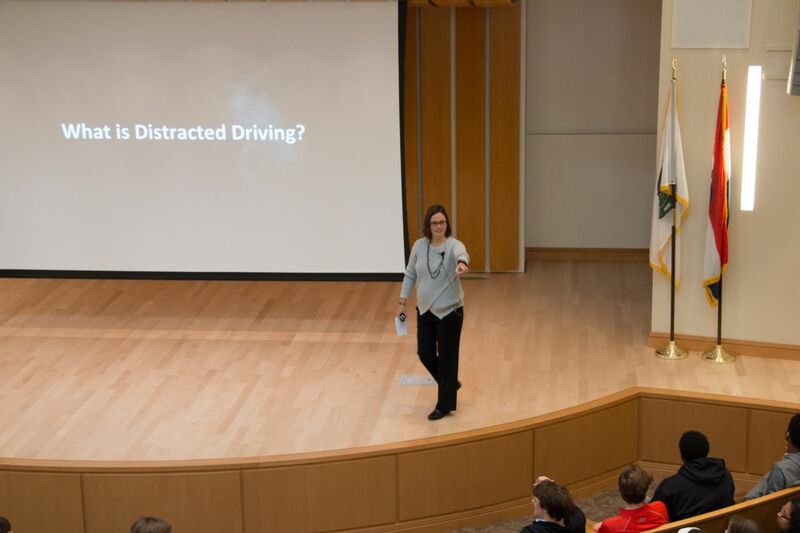 During my presentations, I discuss the fact that there are three different forms of distracted driving – manual, visual and cognitive. The adults seem to have the most difficulty parting with the cognitive distractions. Even worse, many parents, out of concern for their children, call or text their children when they know they are driving! As a group, we talked about ways to avoid this – telling your child to contact you when they arrive at their destination, for example. We can be just as successful with distracted driving as we have been with drunk driving. But to do so, we have to look at ourselves, as adults, as parents. The kids are listening, but they are also watching us. We must set a good example.